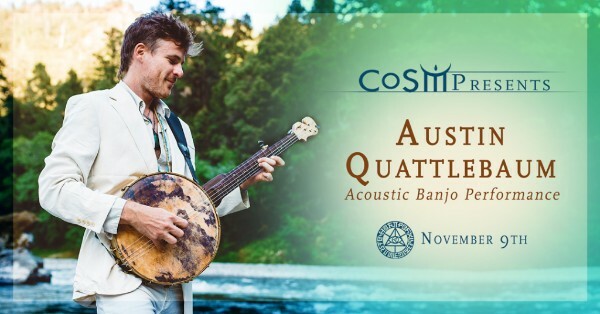 for a special acoustic banjo performance by Austin Quattlebaum. Powerfully attune with the creative force of your soul. CoSM is open to the public every Friday - Monday, noon - 6pm. Make CoSM a spiritual destination this weekend. The CWVFS was founded to honor and empower female filmmakers and film appreciators. 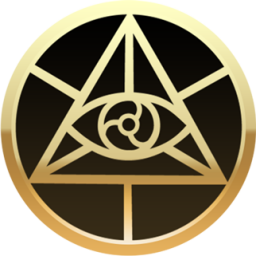 Our mission is to create a new forum for visionary filmmakers, so that their creations, empowered to heal and transform, can impact their greatest destined audiences. 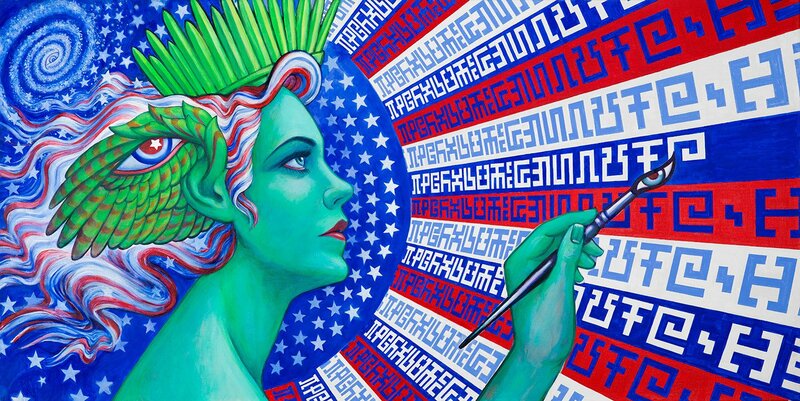 Creative Liberty, by Allyson Grey & Alex Grey, 2016, acrylic on canvas. 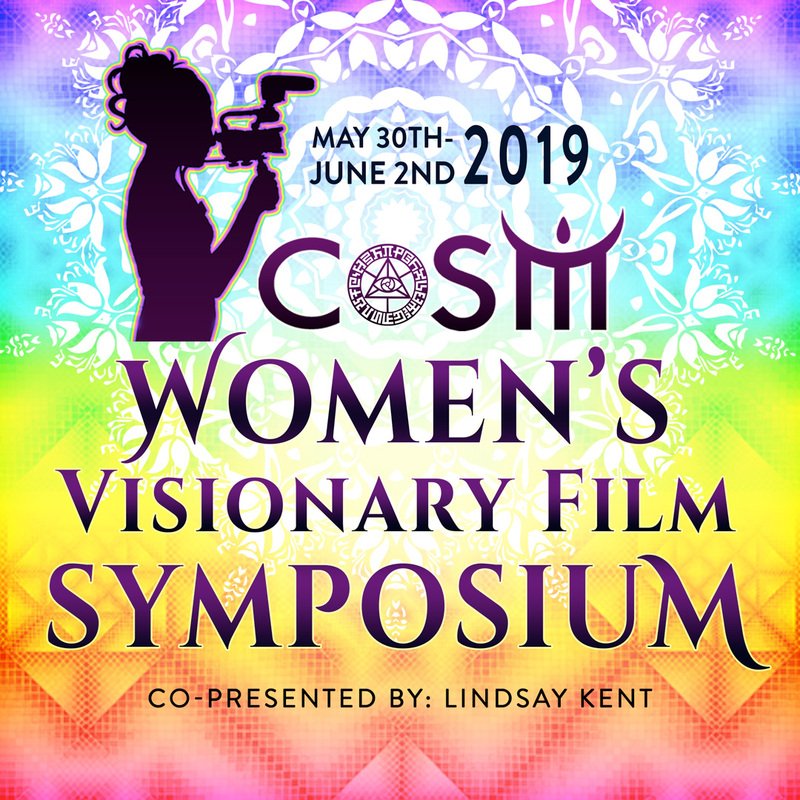 The CoSM Women’s Visionary Film Symposium is a four-day showcase of new and established female artists who are making an impact in filmmaking worldwide. From groundbreaking industry panels to workshops, premiers of feature length films to shorts, this gathering will address what it means to be a woman today through powerful and thought-provoking discussions and works of art. 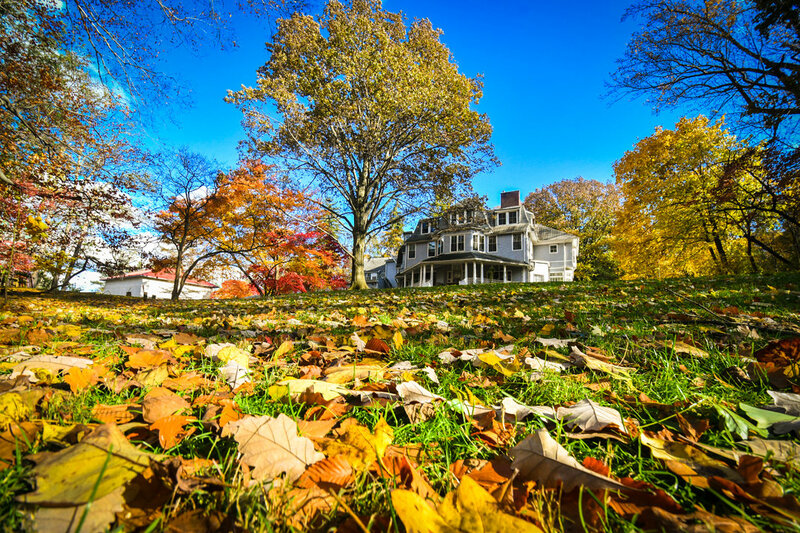 The Symposium will focus on works centered around our collective wisdom, and hope for our families, community and the future. This immersion into women’s visionary film will take place at CoSM, Chapel of Sacred Mirrors, a sanctuary of visionary art founded in upstate New York by Alex Grey & Allyson Grey. A celebration of life, personal growth, social responsibility, healthy living, and creative expression, this gathering of conscious women will include daily yoga, guided meditations and holistic healing workshops, juxtaposed with panels on content, industry culture and distribution. 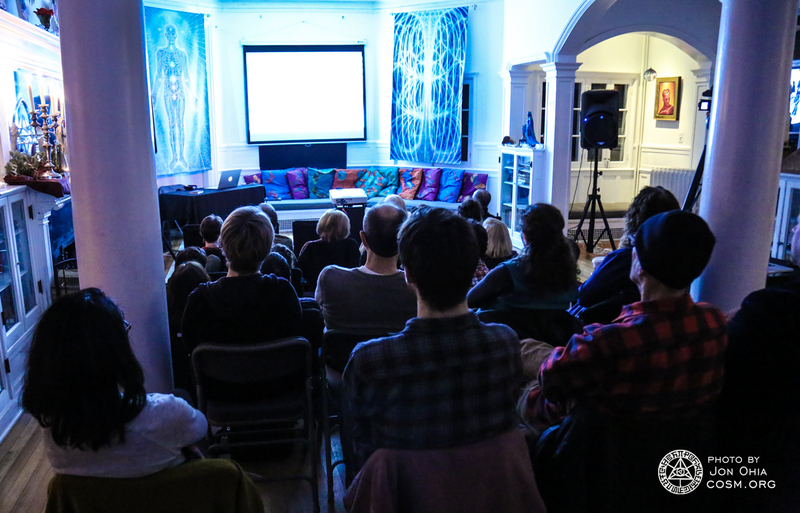 To honor this one-of-a-kind gathering, a New Moon Ceremony on Sunday night will celebrate the Divine Feminine, the creators, taste-makers, thought leaders, and fans of women-powered cinema. Film submissions are open to all women.